The welcome you will the minute you get to camp will be the beginning of a whole new part of your life. You will meet campers of all ages and counselors from all over the United States and the world. The experiences you share and the memories you create form bonds of friendship that last a lifetime. You will have the chance to work together with your new friends making your cabin into a cozy summer home. Or being on a team together and developing the kind of friendships that teamwork fosters. Some of the most special times may be singing together with everyone at Vega around our weekly Sunset Circle campfire. At Sunset Circle you and your bunkmates can have the chance to share your thoughts with the rest of camp, and sing with everyone our Vega songs while the beauty of Maine and Echo Lake surrounds you. Before you even get to camp, you will be introduced to a very special Vega camper who has already been to camp and who will help you in so many ways when you are a first time camper. She is your Big Sister, and she will visit your cabin, and help you find things at camp while you are getting to know your way. During the summer your Big Sister will bring you little surprises that will make you feel very special. You will also have the opportunity to make friends with girls your age before you even get to camp. Just let us know what your interests are and we will find someone with similar interests who lives nearby and you can get in touch with each other before camp! 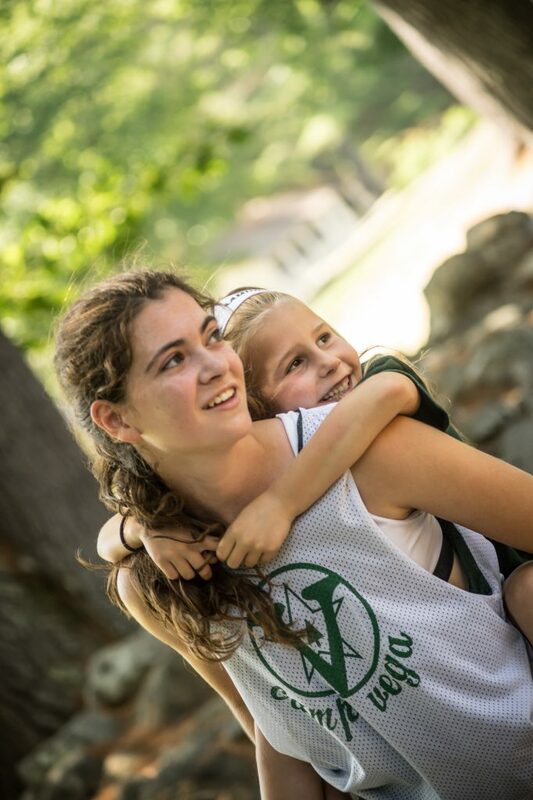 When you are older and a returning camper, you will have the chance to be a Big Sister to another young girl just like you who is brand new. Vega girls take this job very seriously because they all remember just how important it is to have a Big Sister that first summer.